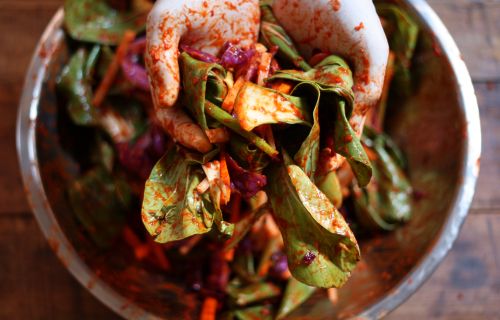 Homemade kimchi — very simple, very easy. That said, this is my first time making it and there are so many variations out there! 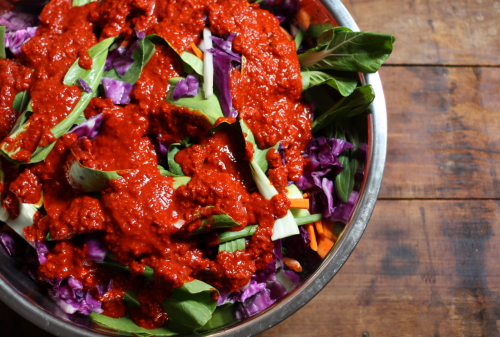 I will call this one the clean out the fridge with all your fall veggies kimchi. 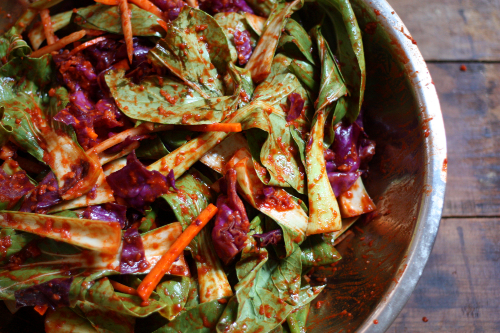 I had everything to make this kimchi with the exception of Korean hot pepper powder. I pictured the powder packaging below for those of us who may not be too polished with the Korean language (myself included). 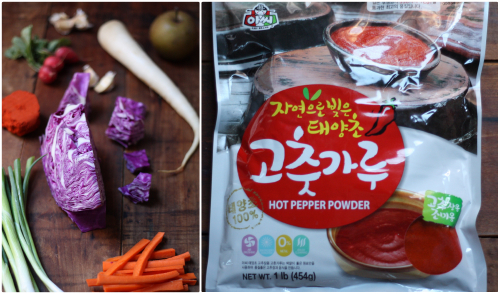 I am also happy this stuff keeps well, because I could now make kimchi for days! In addition to everything above you will want some sterile jars with lids. To sterilize, boil jars and lids in water for 10 minutes. Remove and allow them to dry. This recipe filled 8 various size jars (about 20 cups) which was a little more than I wanted so I would adjust the recipe to suit your needs. First we will start with the cabbage — traditional kimchi is made with a softer Napa cabbage, but I had red cabbage on hand. Place the cabbage in a large bowl, cover with the salt and rub the cabbage. Salting the cabbage first will start the process of pulling away its moisture. Cover the cabbage with water and allow to sit for a couple hours tossing on occasion. Once the cabbage is soft, drain and rinse well to remove any salt. Wash and prepare the other vegetables and place in another bowl. In a food processor add the onion, garlic, pear, ginger, hot pepper powder and water. Add the cabbage to the other vegetables and toss. Pulse the food processor until a somewhat smooth but thick paste develops. Pour this over your mixed vegetables. Now it is time to roll up your sleeves, put on those rubber gloves and dig in! Massage the vegetables to have a light coating. 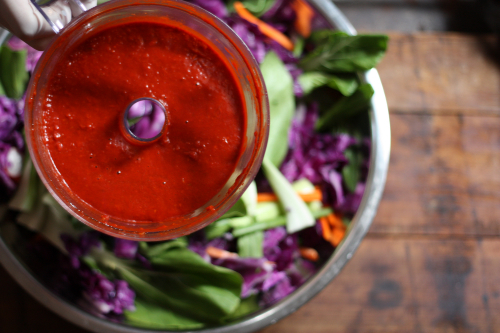 Now we want to stuff the jars, gently pressing the vegetables down into them, leaving about a 1/2 inch from the top. Wipe the lip of the jars and twist the tops on loosely. As the vegetables begin to ferment, they will release gas and create their own juices. Once jars are filled and tops are on, wipe the outside of your jars and leave them at room temperature to allow them to ferment. 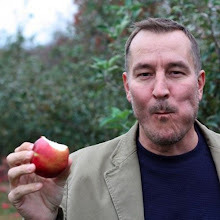 Here is where taste will come into play. Kimchi has a hot/sour flavor and some like more sour than hot. For the first three days I would open the jars once a day and press the vegetables down into the liquid, putting the top back on and then turning the jar back and forth, upside down a couple of times to coat all of the vegetables. I started my batch on Monday and on Thursday started tasting it. Saturday it was to my liking and went into the fridge. 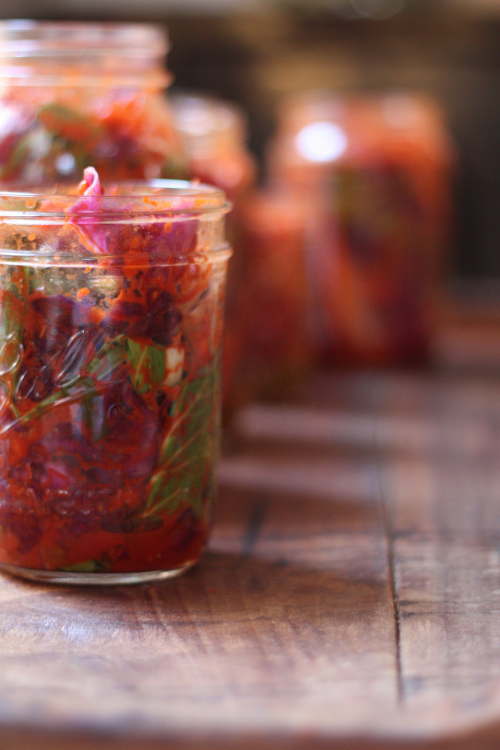 Kimchi is perfect by itself, alongside eggs, or served on sandwiches. 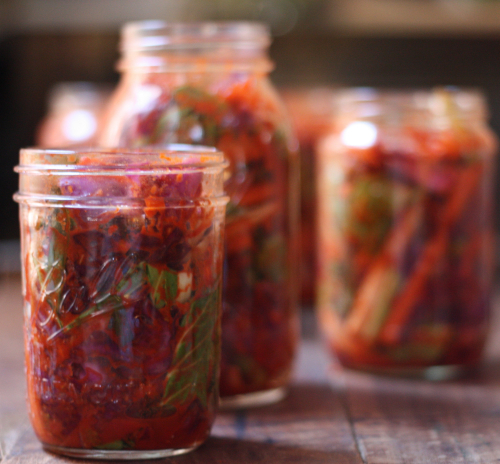 I do have a very easy appetizer that I will soon share to help you use up some kimchi if you give this a try. 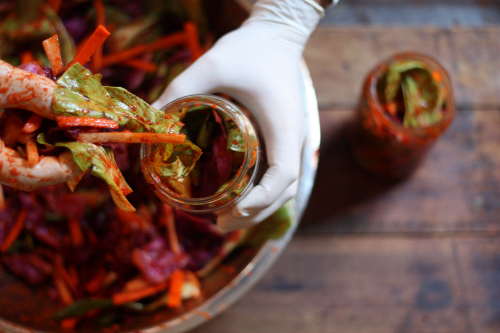 Have you made kimchi before? Can you share any tips or variations? 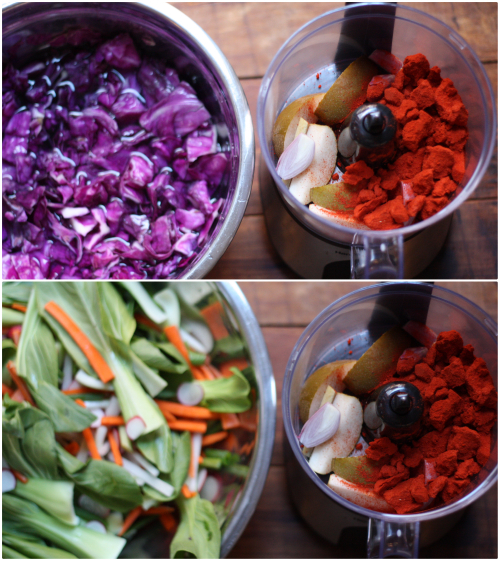 I have never made kimchi, but you take the intimidation factor out of the process. Thank you for showing us how, and I love the color in your photos! I'm going to pin and share. Thanks Becky! It was really easy and flavorful! I've made it, but my process was a bit different. I meant to blog about it at the time, but never got around to it. The biggest difference was that I used a crock rather than packing it into jars. I also used some jalapenos from my garden instead of any pepper powder. Sounds good and I hope that turned out!